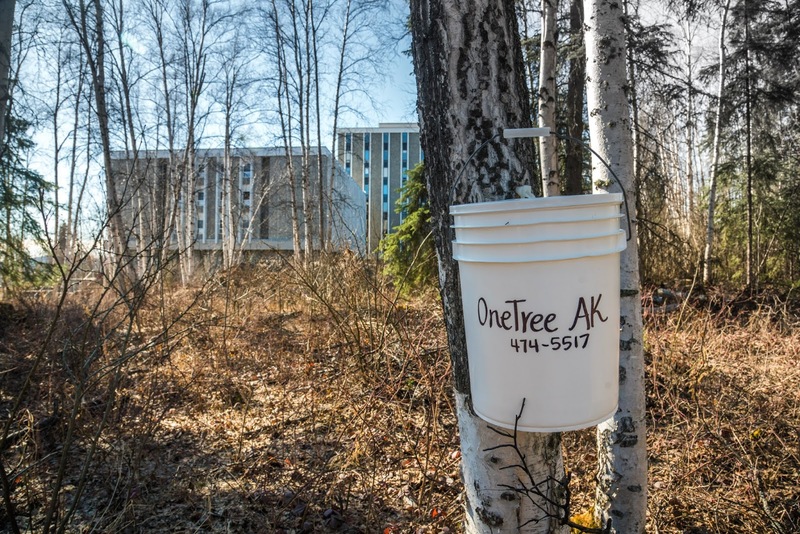 OneTree Alaska will host a birch sap cooperative organizational meeting Friday at 5:30 p.m. at the University of Alaska Fairbanks. Birch sap is collected around campus every year. Ain the OneTree Alaska studio and processing facility in the old Lola Tilly Commons kitchen. OneTree program lead Jan Dawe and her birch sap crew will also discuss plans for the season and show individuals how to tap trees. The equipment checkout will continue Saturday from 10 a.m. to 4 p.m. This is the second year for the cooperative, through which individuals collect birch sap in exchange for a share of the birch syrup that is processed. Last year, more than 40 individuals and school groups collected sap for the university program, which is conducting research on birch sap processing methods. Dawe said that community members contributed nearly half the 6,000-plus gallons that were collected and staff harvested the rest. Much of the processed sap was lost last October when a freezer failed, but Dawe said the program and freezer are back on track. Dawe says is she is modeling the UAF birch sap work on successful maple research programs at the University of Vermont and Cornell University, which make and sell maple products to support their programs. 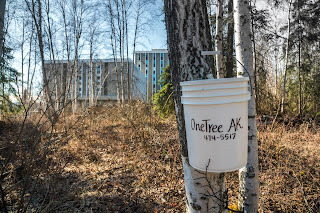 OneTree hopes to sell birch caramels and other birch products made from the sap that is collected. Although the ratio varies from year to year, Dawe said, last year it took 113 to 117 gallons of sap to create one gallon of birch syrup. Dawe said sap flow will generally begin in the Fairbanks area between April 16-21. The OneTree Alaska program is an educational and research program affiliated with the School of Natural Resources and Extension. This year’s birch sap program is also supported by the Alaska Center for Energy and Power. For more information, contact Dawe at jan.dawe@alaska.edu or at 907-474-5517 or 907-474-5907. The natural resources management program at the University of Alaska Fairbanks offers a great education relevant to today's changing environment, in an amazing classroom and at a price students can afford. Alaska is the laboratory for environmental and resource issues affecting the world. Agriculture cooperative key to farming future? Sven & Barbara Ebbesson: Potato farm is "a thousand acres of happiness"